The Polynesian Resort has been under a major refurbishment for the better part of the last year. The lobby has been completely redone, with the waterfalls removed. 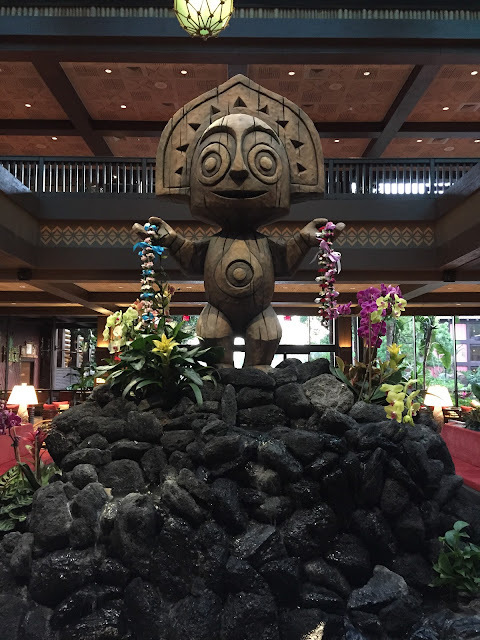 Recently, this tiki statue has been added and is now the focal point of the new lobby. I took this shot last week, when I briefly visited this resort before heading to the Magic Kingdom.